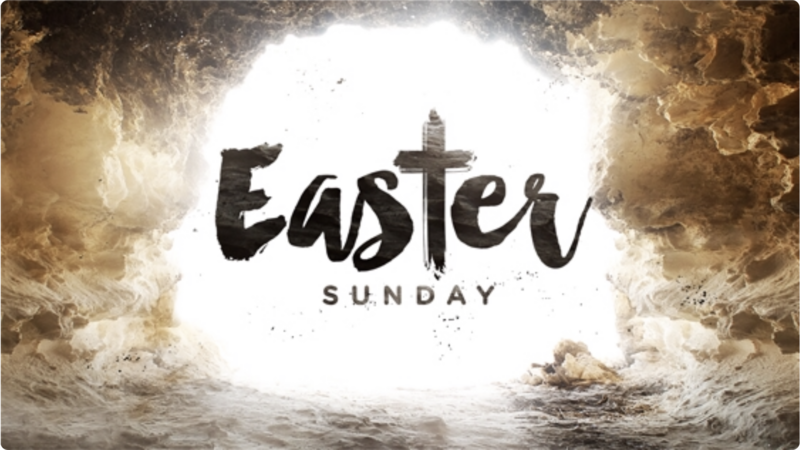 The climax of these last six weeks is focused tomorrow on Resurrection Sunday. What we have come to call Easter. Eugene Peterson writes: We engage in a life that is permeated by the presence and companionship of the resurrected Jesus in the company of friends. Read his words again, it takes only 10 seconds. Notice how the prepositions, in, by, and of connect and describe a relationship. There is no disconnect between Life and Relationships for Jesus. Mark Batterson writes: You and I are here to witness where life comes from, how it develops and how we enter into it. Read his words again, they take less than 10 seconds. Together, I believe, these two statements, which take under 20 seconds to read, reveal a lifetime of truth for you and me. For you and me, the Resurrection does or does not make a difference. To be unsure does not present one with a viable or sustainable option. In the morning we close out this Easter series - Being In Love. I wanted to remind us that the climax should always contain the context. We said from the opening six weeks ago that we should walk away into life both encouraged as well as challenged. I believe Jesus would like that. 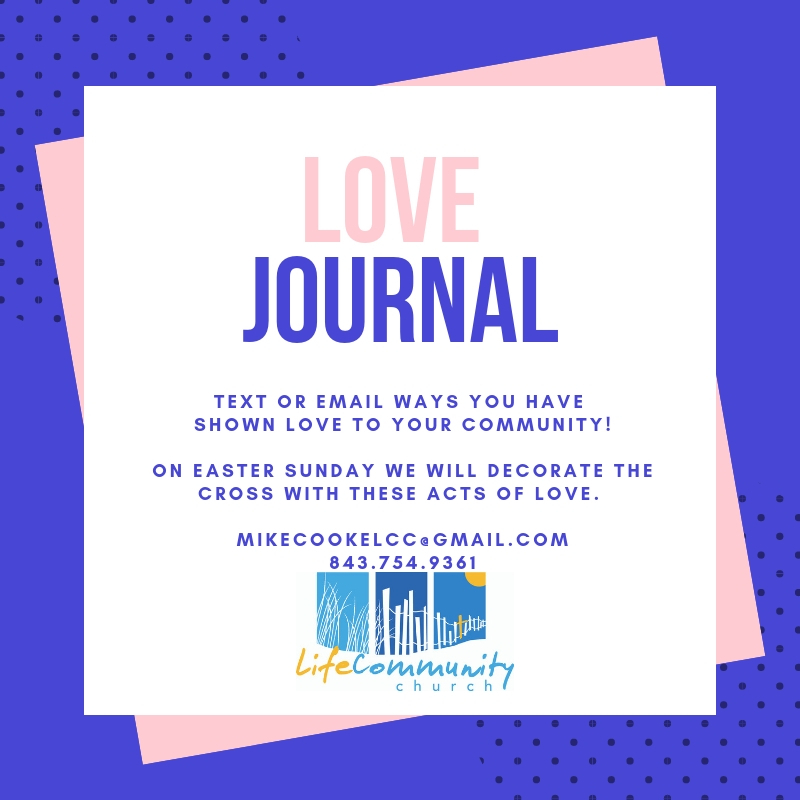 In our current series leading up to Easter, Being in Love, we are seeking to show love to our community and share those acts with each other. We will decorate the cross on Easter with the myriad of ways we have brought love, joy and kindness to those around us. 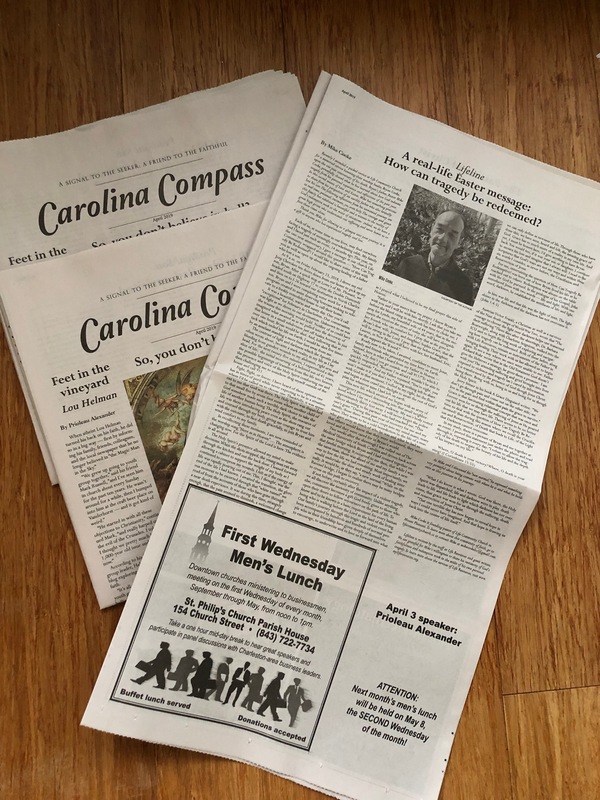 Pastor Mike's article on tragedy, loss and healing came out in the Carolina Compass this week. Article is not available online currently, but pick up a copy at church this Sunday or check out our Facebook page. We began meeting at our NEW LOCATION this past summer! We are so grateful to Allyson Lewis and the whole team at The Musical Theater Center/Once Upon a Ballet for opening up their space for us to use for our Sunday gatherings. We hope you will join us at 547 Long Point Rd. Mt. Pleasant SC 29464. Look for our Life Community Church signs to guide you to the right place. Surrounding businesses include DUFF Fitness and Two Blokes Brewing. See you there at 10:15am! And check out lovemtcstage.com for upcoming performances and classes at The Musical Theater Center & Once Upon a Ballet. You will be amazed at the talent! 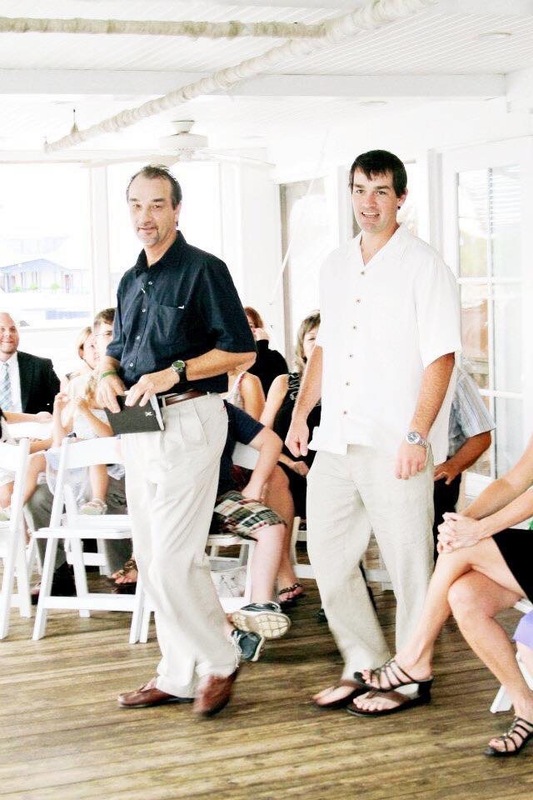 Thank you for the outpouring of love and support in the wake of the tragedy on February 23rd that took our worship leader, Bryan Cooke's, life and injured our pastor, Mike Cooke. The generosity you have shown our family and our church during this time is a testament to the friendship God has forged, a friendship that never ends. The peace of the Lord be always with you. Please join us at the Musical Theater Center/Once Upon a Ballet located at 547 Long Point Rd. Mt. Pleasant SC 29464. Look for our Life Community Church signs to guide you to the right place. Surrounding businesses include DUFF Fitness and Two Blokes Brewing. See you there at 10:15am. We keep things simple – come as you are and enjoy a cup of coffee and our weekly time of gathering. LifeSavers kids ministry is offered during the service for children up through 5th grade. We hope you will join us this Sunday at 10:15am for our weekly gathering as together we pursue God, build meaningful relationships and embrace our local community. 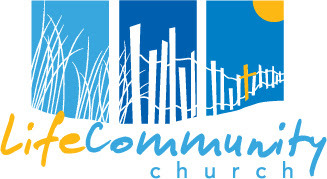 Check out the "Who We Are" page for some more info on LCC or send us a note with any questions via our "Contact Us" page. © 2019 conversation. connection. community.. Powered by WordPress. Theme by Viva Themes.